I have a thirteen year old which means my husband and I have just entered the years of learning to parent a teenager. It also means that we have moved pretty much to the bottom of the list on the cool chart. I mean way down. I realize this is a phase that every child goes through as they transition from child to adult, but it’s not easy. The hardest part for me is knowing how to handle my teen’s “too cool for me” attitude. It’s especially hard when it comes to engaging him in devotional times and talking about Jesus. Though I’m still very much in the midst of navigating the water on this, this is what I’ve learned thus far. 1. Don’t freak out. Even though your teen seems too cool to talk all things spiritual, now more than ever, it’s necessary to keep those conversations going. The teen years are so awkward and just weird. It’s a pivotal time to continue to instill Truth into them. They may not seem responsive, but they are listening. The beginning of this year I had a slight freak out over my son not being interested in talking about the things Jesus is doing in his life. God, being the gentleman that He is, reminded me that it simply isn’t the case. This season will pass. My job in the meantime is to continue to weave Jesus into our conversations and let my knees get a little calloused as I fall on them to pray for him. To read the rest of what I’ve learned, click over to I Believe In Love and PLEASE share your thoughts on what you’ve learned in engaging teens in all things spiritual! 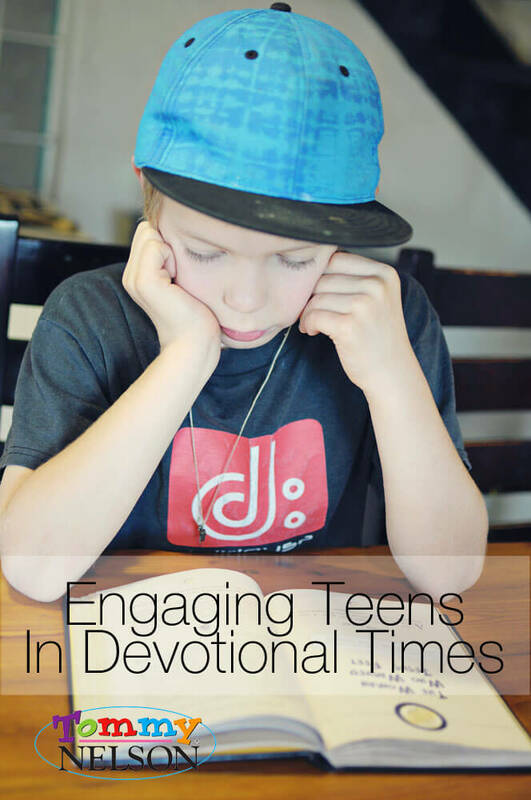 This entry was posted in Blog, Tommy Nelson and tagged Awkward Teen Years, Engaging Teens In Devotional Time, I Believe In Love, Jen Price, Tommy Nelson, Too Cool For Me Attitude by Jennifer Price. Bookmark the permalink.